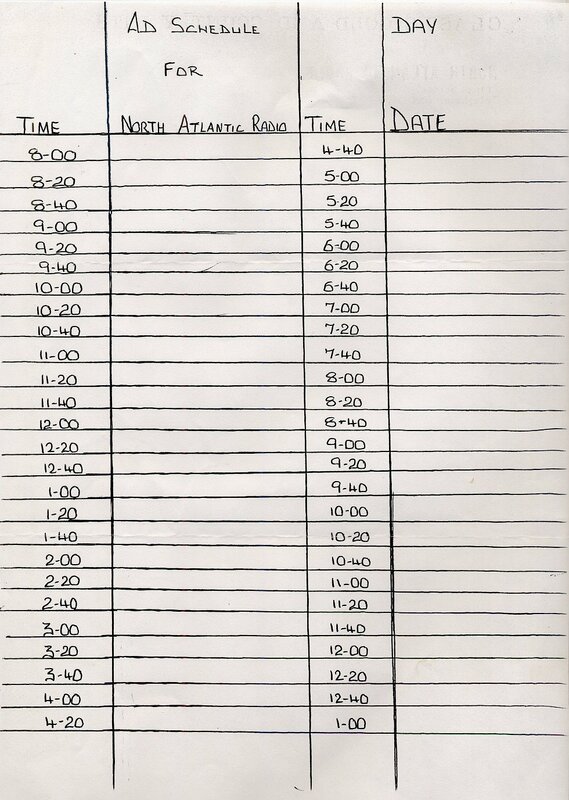 North Atlantic Radio was started by Tommy Cunningham in competition to Radio North. 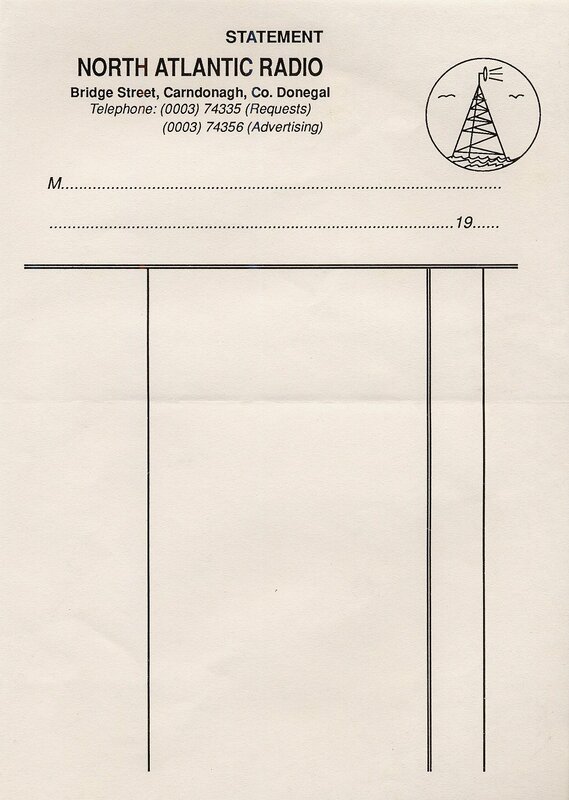 But after a time, the name was reverted back to the old name of Radio North. 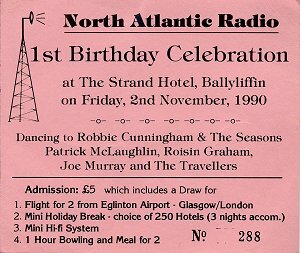 The card below states that the 1st birthday celebration took place on 2nd November 1990, suggesting a start date of around that time in 1989. 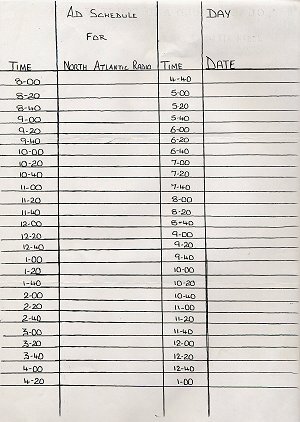 3/1/91 1125kHz North Atlantic Radio 1120 including record - Put Another Turf on the Fire Mary Anne!!! Radio North was noted on 846 the same day. 28/8/91 846 Radio North PJ with low mic. 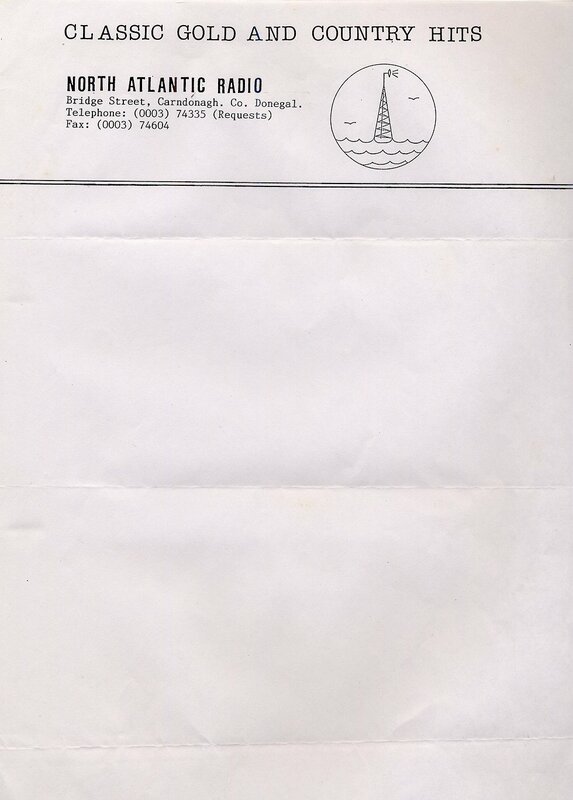 25/10/93 102.9 / 100.1 Q102 Derry. even via Riverside txer!! 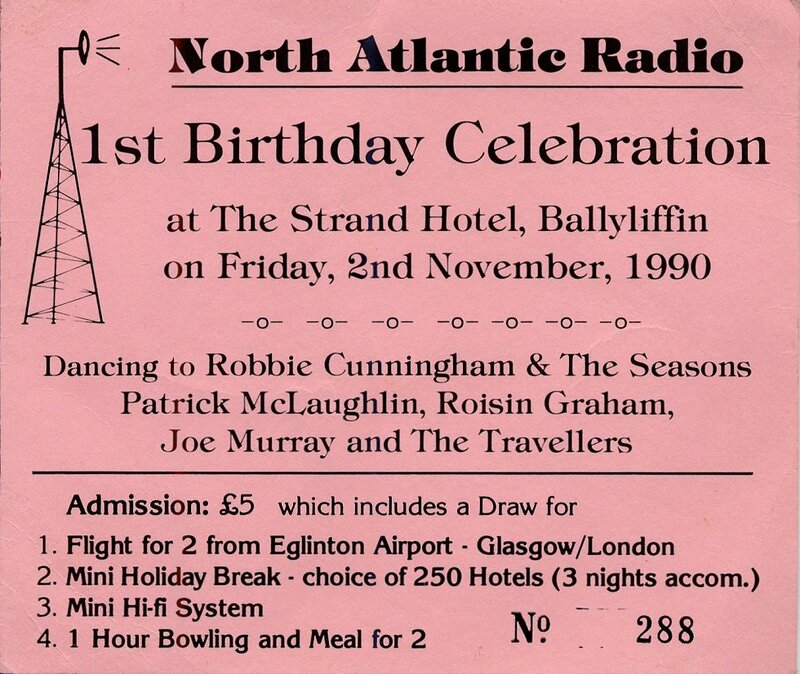 25/10/93 North Atlantic 103.8 and 846 relay bbc at 1312. Back by 1723. 97.9 noted 26/10.